Collage now allows you to create custom calendars for birthdays, work anniversaries, and time off. These calendars can be made available on top of the default company and department-wide calendars. 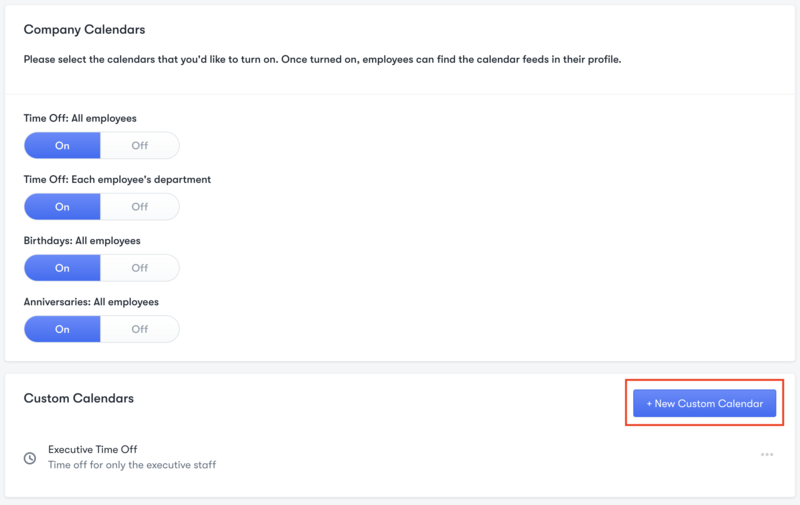 You can create a new custom calendar by going into the calendar section in Company Settings. Under "Custom Calendars", press "+ New Custom Calendar" to get started. 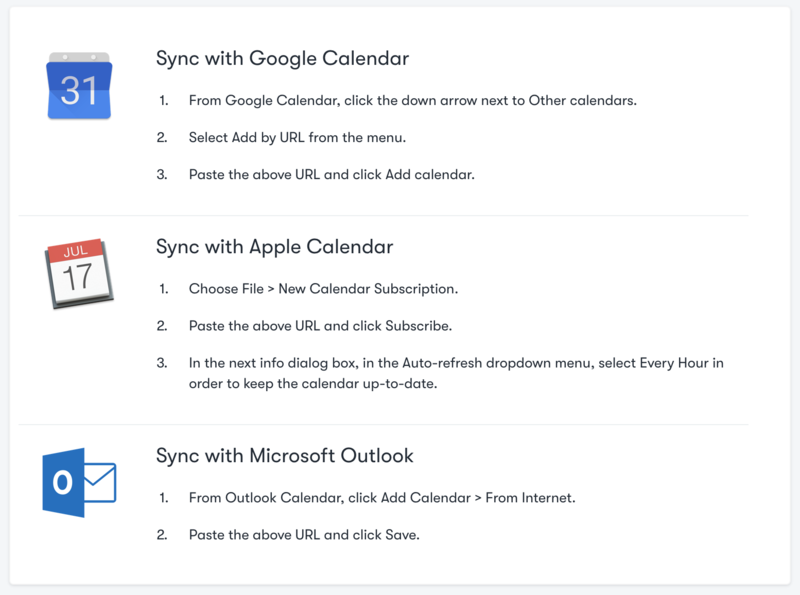 You will have the options to name and describe the calendar, which are used by calendar applications such as Google Calendar, Apple Calendar, and Microsoft Outlook. 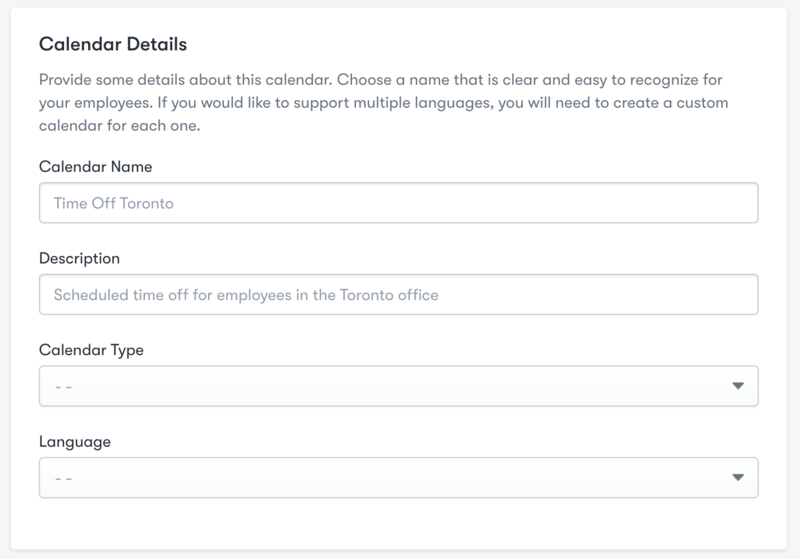 You must also specify what type of calendar this is (time off, anniversary, birthday) and what language it is in. 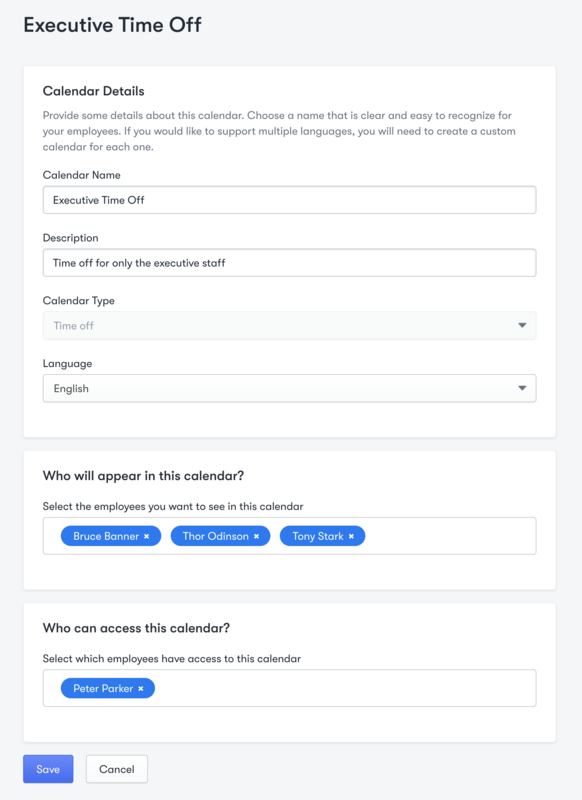 You can then select which employees will appear in the calendar. These are the employees whose time off, birthday, or anniversary events you want to be visible to users who get access to this calendar. Finally, provide the list of employees that should be able to access this calendar. These employees will be able to subscribe to the calendar and see all of the events. 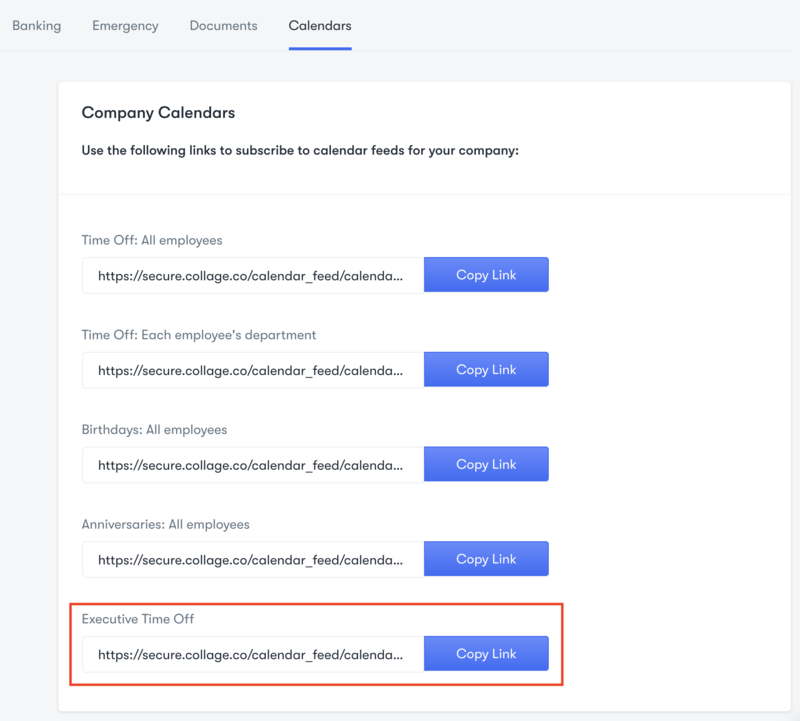 Once a time off calendar is created, employees that were selected to get access to the calendar can find the subscription link in their profile under "Calendars" alongside the default calendars. Simply follow the instructions on the page to subscribe to the calendar using your calendar application of choice. Custom calendars can be edited by clicking the triple-dot icon for a specific calendar. 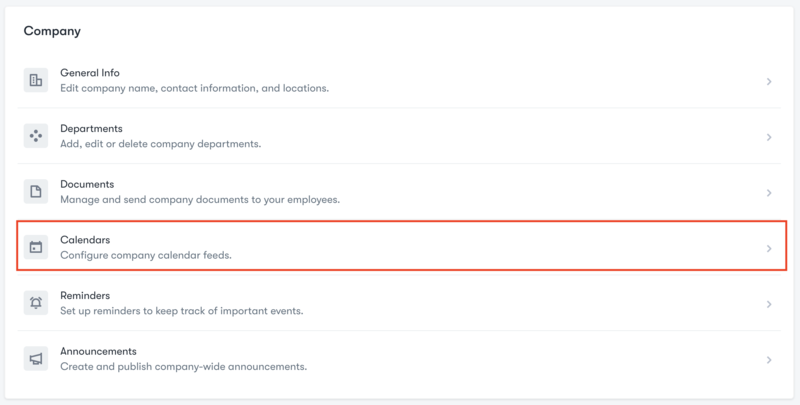 When a custom calendar is removed, employees who were given access to the calendar will no longer be able to see the events or be able to copy the subscription link from their profile. You can edit all the details of a custom calendar except for the calendar type. Employees who are removed from the access list will no longer be able to subscribe to the calendar, and employees who are added will get access to the subscription link in their profile.